Good things come in small and green packages. Coke has taken a leap forward and introduced the concept of PlantBottle wherein the plastic beverage bottle is now made recyclable and is produced partially from plants. The material looks and functions just like traditional PET plastic, but have a lighter footprint on the planet and its scarce resources. Four massive companies: Ford, Heinz, Nike and Procter & Gamble, have joined the league by declaring that a joint effort is taken up by them to develop 100% plant based plastic, thus reducing the fossil fuel consumption. The idea of PlantBottle was highly acclaimed by WWF and they were found quoting “Sustainably managing our natural resources and finding alternatives to fossil fuels are both business and environmental imperatives. It’s encouraging to see these leading companies use their market influence to reduce dependence on petroleum-based plastics”. This indeed is a major heads up for such massive industries. As a trend-setting company, they have judiciously used all the resources available to them and have implemented the concept of responsibility towards a sustainable business practice in all their departments ranging from collection of raw materials to reaching out to their customers. Coca-cola, as a responsible brand has understood that quite well. For instance, they recycle their wastewater and replenish the water used in finished products. By and large, they collaborate with local governments, water agencies, NGOs and communities to mitigate risks and implement a locally relevant water resource. Using ionized air instead of water to rinse product packages prior to filling. Reuse of treated wastewater for landscape irrigation and truck washing. Advanced monitoring of water use and efficiency. To combat further with water scarcity issues, Coca-cola is involving itself into Water Footprinting. It sheds some light on indirect water use. Coca-cola has been an active partner of Water Footprint Network since 2008 and the inferences fetched are helping them reduce their direct impact on water-scarcity related issues. Building a climate-friendly fleet with a mix of efficient fuels. Investing in clean energy such as: solar, landfill gas-powered co-generation system. Installing clean energy systems in developing countries. Leadership in Energy and Environmental Design (LEED) certified building facilities. The future belongs to those who understand that doing more with less is compassionate, prosperous, and enduring, and thus more intelligent, even competitive. – Paul Hawken, Environmentalist. Coke strives to follow zero-waste vision by designing consumer-preferred and resource-efficient packaging, eliminating waste to landfills, and using recycled and/or renewable materials. The cycle of a beverage container includes its packaging and finally its disposal. 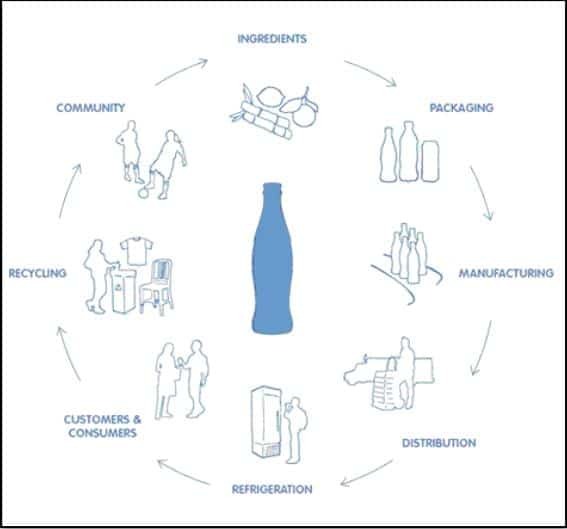 The key is to improve these two processes which Coke does by creating innovative packaging (PlantBottle) and by investing in recycling programs. They have initiated informal container collection systems, partnered with organizations facilitating comprehensive and effective integrated waste management program. Coca-cola has undoubtedly taken up a comprehensive initiative to reduce its environmental impact and to meliorate its operations as a sustainable company. 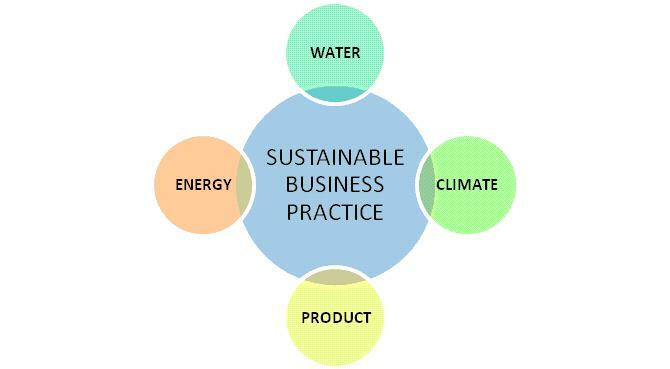 Evolving from a multinational to a green multinational is a firm and concerned step. Coke has spectacularly proved that turning green does not necessarily increase costs or incur loses. On the contrary, it may lead to increase in productivity (as in case of Coca-cola itself). Sandhya is currently pursing her MBA in Industrial Safety and Environment Management (NITIE, Mumbai) but she is an environmentalist at heart. Music, coffee and laptop comprise her workstation exhaustively. She is also an animal lover. When not working, you’d see her hunting for great food places online or working on her karaoke skills !